Playhouse New Years Eve 2015 party guarantees to be the L.A. top Hollywood nightclub to celebrate NYE 2015. 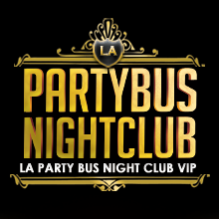 Get ready to experience a 4 Hour Premium Open Bar, a complimentary Champagne Toast at Midnight and music by rotating deejays to include – deejay Sourmilk, deejay Coolwhip and deejay Scotty Boy (After Hours) inside the only Vegas-style club in Los Angeles, Playhouse Nightclub, on Wednesday 31st December 2014, 10:00 PM to 4:00 AM. The Playhouse Nightclub stands out because of its entertainment, mischief and mayhem. One step inside this Hollywood New Years Eve party haven will certainly get you partying late into the night, Vegas-style!